Quetzal is a retailer of women's clothing and accessories that are designed and manufactured in Latin America and Nepal. Items on sale include skirts, jumpers, trousers, jackets, dresses, hats, gloves, bags and purses. Monday to Friday 12 noon - 5pm. Saturday & Sunday 11am - 5.30pm. 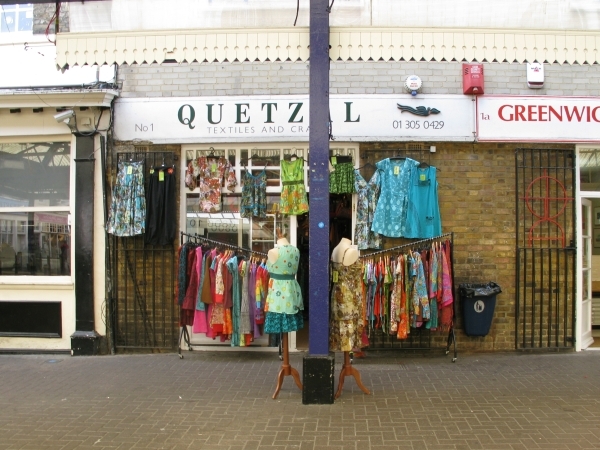 Quetzal is located on Greenwich Market. Find your way to Quetzal by public transport with Transport For London's Journey Planner.